We had a nice Christmas present from friends in December. Due to some unfortunate events, our friends could not make their trip to Chichen Itza by plane! Yup, you got it, they were going to fly in a little puddle jumper to Chichen Itza, tour the ruins and then hop back to Playa all in about 6 hours! The morning they were supposed to fly we got a phone call asking if we wanted their plane trip for the morning as they could not make it. Ummmmm, yeah! So off to the Playa airport we went and had a great aerial tour of the Riviera Maya coast! What a breath taking view and what a wonderful experience! 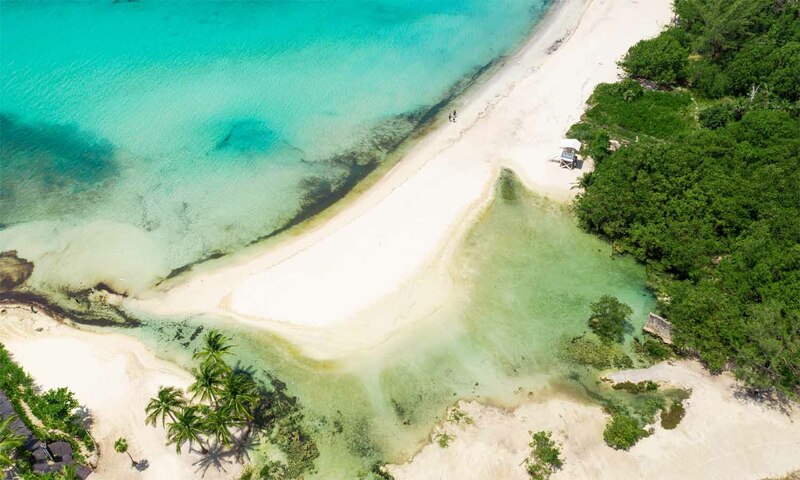 We have spent many hours on the water which gives you a great view of Playa del Carme but seeing Playa del Carmen via a plane..all we can say is WOW! 1. Playa is NOT as big as we all think it is. Our perspective is relative and though we think it is a metropolis, it really is not. Yes, it is bigger than the Playa del Carmen we knew many years ago but it is not a metropolis. And there are no tall buildings that can be leaped in a single bound, like superman does in Chicago or New York. 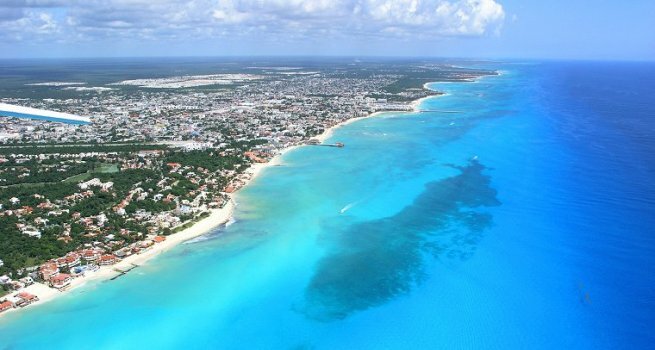 Cancun from the air is big, Playa, not so much…it just feels big, that is all. 2. There is a lot of dead space on the coast meaning, there is a lot of undeveloped jungle, beaches and areas where no one has gone in and built yet. There is a lot of weekend adventure trips that can be made in search of something new, something unseen, something different. 3. Resorts are BIG! 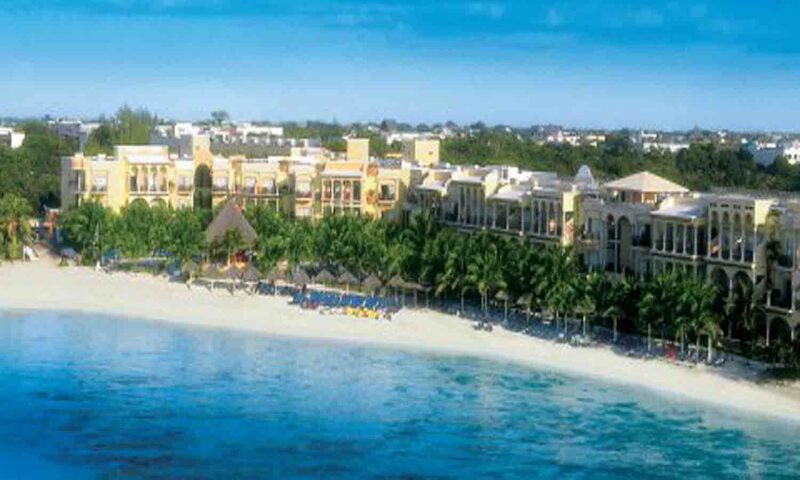 There are some resorts that I swear looked bigger than Akumal, as big as Playa and they are really mini cities. When booking a resort think twice about what you are doing as you are likely booking a mini city experience without the cultural and Mexican flare that you can get in coastal towns. Up to you, but when I travel I want a taste of the area. 4. The ocean is grand and wonderful and amazing and blue! wow, wow is all I can say. I think I was far more mesmerized by the ocean than I was the land. You could clearly see sting rays, turtles and coral reefs. It is a vast piece of property and makes me think we should be taking care of the ocean first and land second. WOW!!! Here are some photos. No they are not great quality but it gives you a taste of what you can expect.